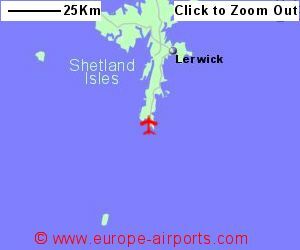 A bus service connects the airport with the island capital of Lerwick, 40 Km away, the journey taking approximately 40 minutes. Taxis are available by prior booking. 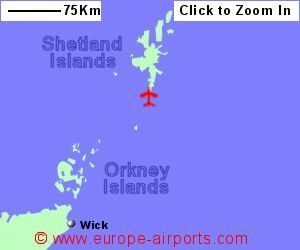 Sumburgh airport has a combined shop and cafe, and FREE WiFi internet access. Conference rooms and a prayer room are available. Passenger numbers totalled 256,000 for the year 2017, an increase of 2% from the previous year.